I have a turtle, its name is Katty. I have a pet. I have six cats. Mina,Casey,Lucy,Armand,Louis and LeStat. well i have many pets but here are the name Coda, Tiny, Carmel, Cotton, Booty, Tiger, Rocky, Jake. Have a great day :) Coda is my indoor cat Tiny is a pom-pom that is really my mom's Booty and Tiger are my outdoor cats Carmel my cat she is at my fiance's home Cotton my other cat at my fiance's home Rocky is our Lab (me and my fiance) Jake is a Red Healer I took in of my Dad's. I have a dog called Donald. I really like dog very much. Donald is my birthday present two years ago and he is the one to accompany me no matter I am happy or sad durng this two years. haha..... It is true that dog is always the best friend of human. Everyday I will play with donald and bring him to walk near the lake near by of my house. Sometims Donald will even sleep with me. i dont have any pet recently but in my back home i have lots of cats and every cat has one name that is MANO... ehehheh i like calling them Mano. I have a pitbull named Dior & a chow named Black. Both are puppies. I love them. Next week they will both be neutered. i have three pets. one is a toy pomeranian, male, the name is babblu.. its a darling. very well behaved and naughty,.the second is a lbrador its name is jhujhu, male, then theres this stray dog called tiger very old man. senior most among the lot. 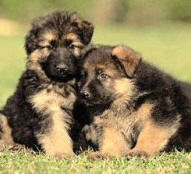 I have two pets that are german shepherd dogs it's names are "taniya & Bingo "